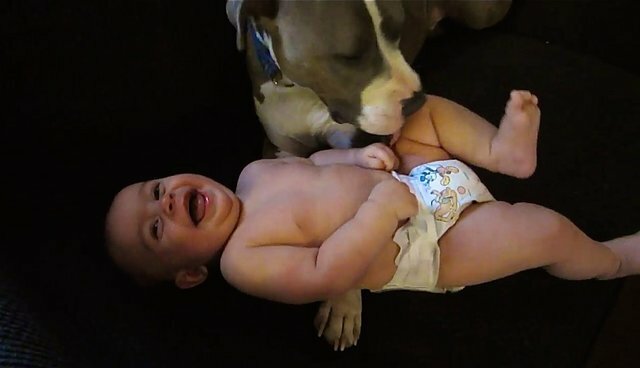 Gemma the pit bull was feeling extra affectionate and decided to shower Baby Elliot with puppy-smooches. Elliot was, of course, extremely pleased -- so pleased, in fact, that he just couldn't stop giggling! And who could blame him? 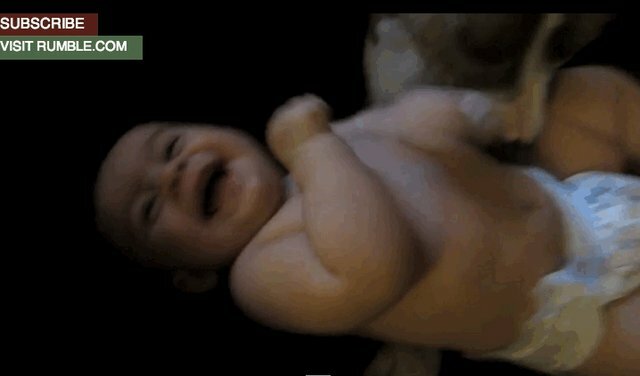 Getting tickled by dog kisses is one of the most delightful things one can experience, so this baby is already ahead of the game. Watch all of the interspecies affection below! *Editor's note: as always, it is very important to follow proper protocol when introducing pets to children, and to always keep an eye on the playmates.